U.S. Agency Investigates 'Taxpayer-Funded Anti-Semitism' Against George Soros A federally funded Spanish-language broadcaster called Soros — among other things — a "non-practicing Jewish financial speculator with flexible morals." Now, its parent agency wants answers. A sign seen on the wall of Radio and TV Marti's Miami headquarters. 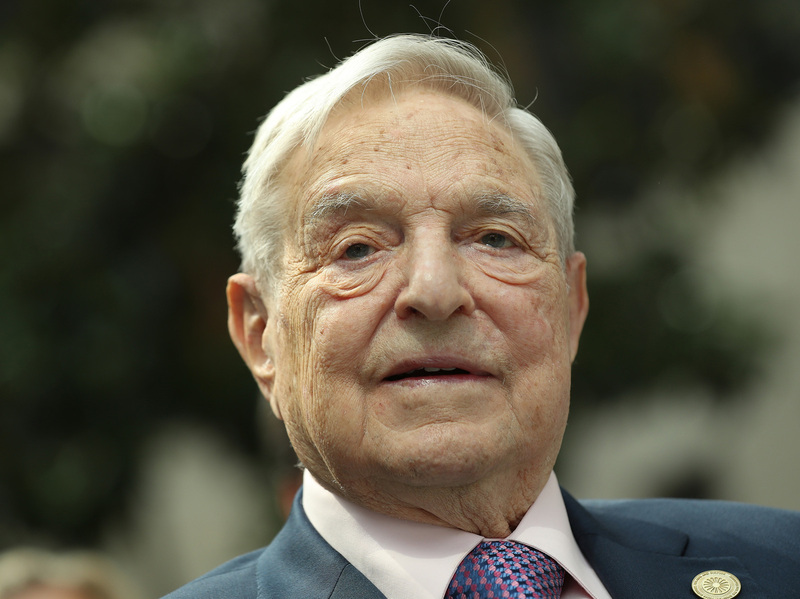 The U.S. Agency for Global Media has launched an investigation into an anti-Semitic television segment attacking George Soros that aired on a federally funded Spanish-language broadcaster. The 15-minute segment, which Radio and Television Martí broadcast in May, calls the billionaire philanthropist a "multimillionaire Jew" who uses his profits to "finance anti-system [political] movements that fill his pockets." The video resurfaced Friday, just days after a package containing an explosive device turned up at Soros' home in New York — and one day before a gunman opened fire at a synagogue in Pittsburgh, murdering 11 worshippers in what a local prosecutor described as a "terrible and unspeakable act of hate." The video that aired in May "is inconsistent with our professional standards and ethics," USAGM chief John Lansing said in a statement released Monday. His agency oversees the Office of Cuba Broadcasting, which directs Radio and Television Martí and — according to its website — aims "to promote freedom and democracy by providing the people of Cuba with objective news and information programming." "Those deemed responsible for this production will be immediately placed on administrative leave pending an investigation into their apparent misconduct," Lansing said. "Disciplinary action appropriate under federal law may then be proposed, including the potential removal of those responsible, depending on the outcome of that investigation." "The architect of the 2018 financial collapse." "A non-practicing Jewish financial speculator with flexible morals." A financier of groups that "do nothing more than destabilize societies and cultures." "George Soros has his eye on Latin America," the narrator says over an ominous score. "But Judicial Watch, a legal research group in the United States, has its eye on Soros, and on what it views as his lethal influence in undermining democracies." Judicial Watch, a conservative activist group, has attracted scrutiny in recent weeks for its own full-throated campaign against Soros. It has been raising money on Facebook with ads featuring the face of the liberal Hungarian philanthropist, circled in red with a call to action: "Expose Soros!" Fox Business recently condemned statements made by the organization's director of investigations and research, Chris Farrell, who pushed a conspiracy theory about Soros during his appearance on Lou Dobbs Tonight. Farrell baselessly claimed that a caravan of Central American migrants is funded by the "Soros-occupied State Department." The suspect in the Pittsburgh shooting — which unfolded hours before Fox Business re-aired Farrell's appearance — appeared to push similar theories on social media prior to his attack, claiming that Jews were behind the caravan's movements. But the Pittsburgh suspect's beliefs have not been an aberration. The Anti-Defamation League and others noted that anti-Semitic incidents leaped nearly 60 percent during President Trump's first year in office. The ADL says it's the largest such jump on record. George Soros, seen last year in Berlin. The segment aired by Radio and TV Martí earlier this year accused him of masterminding plots to undermine governments. Not long after the Radio and Television Martí video resurfaced, Arizona GOP Sen. Jeff Flake denounced it as "taxpayer-funded anti-semitism" and called for an investigation. "At a time when hate-filled rhetoric is having a devastating impact inside the United States, it is irresponsible for any agency of the federal government to perpetuate unfounded conspiracy theories that, far from supporting U.S. foreign policy goals, work against them," Flake said in a letter sent Monday to Lansing. He also called the Television Martí program a "waste of taxpayer money" that fails to persuade — or, in many cases, even reach — its intended Cuban audience. 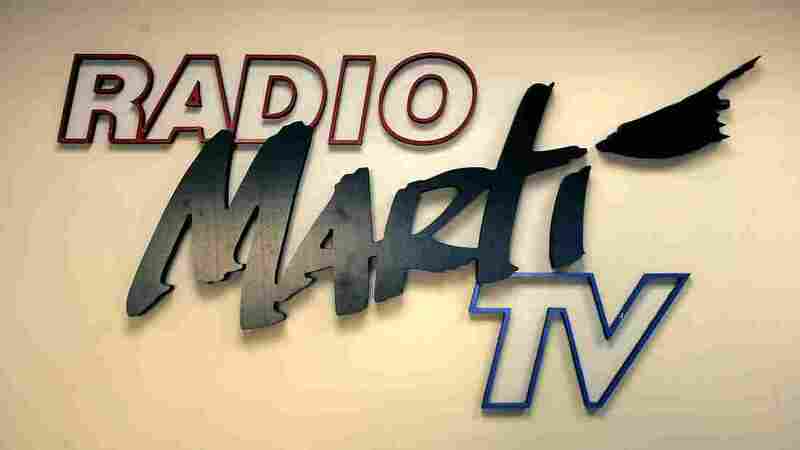 Radio Martí was founded in 1985 and joined five years later by its sister TV broadcaster. Its parent agency, the Office of Cuba Broadcasting, received nearly $30 million in federal money in fiscal 2017. "The rise of anti-Semitism inside the United States is bad enough," Flake added. "American taxpayers should not be funding its dissemination." Soros' Open Society Foundations has supported NPR in the past.